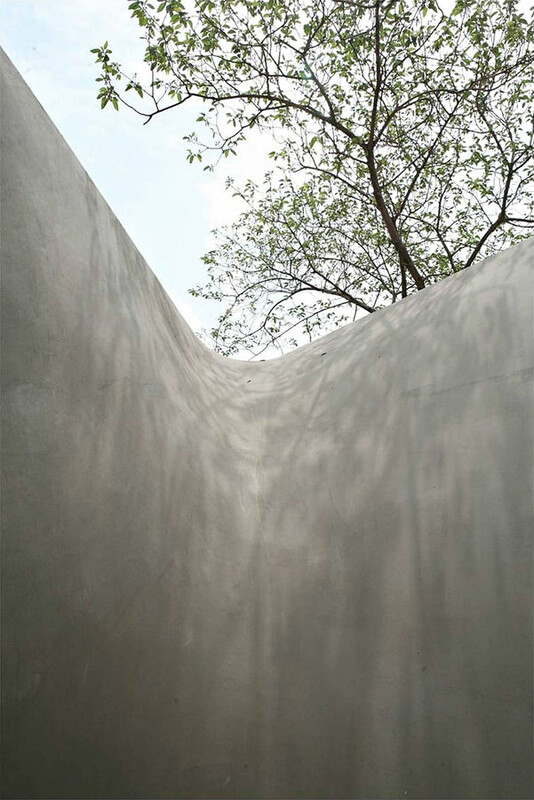 The Tea House was completed in 2011 by the Shanghai based studio Archi-Union Architects. 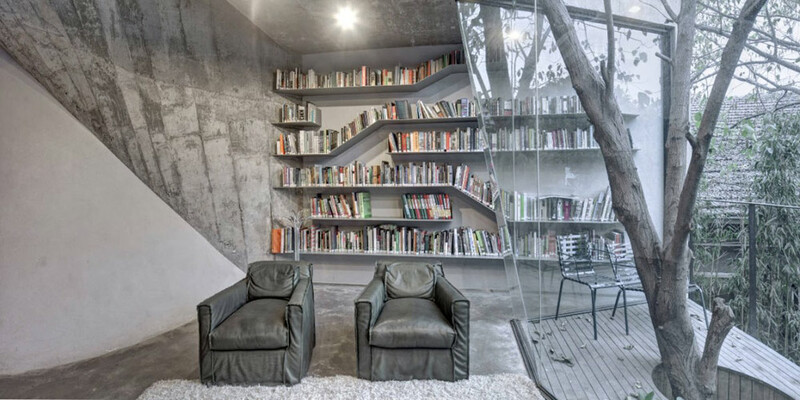 This contemporary tea house and library has been built in the backyard of the Archi-Union Architects’ office. 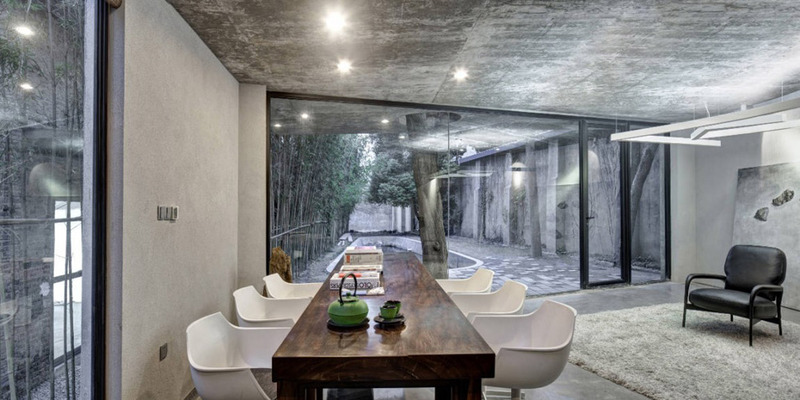 The Tea House is located in Yangpu District, Shanghai, China. “The Tea House, located in the backyard of Archi-Union’s J-office, is constructed from the salvaged parts of the original warehouse’s collapsed roof. The site was extremely constricted with walls on three sides, and with only one side facing towards a nopen space that contains a pool. The space was further restricted by a mature tree. 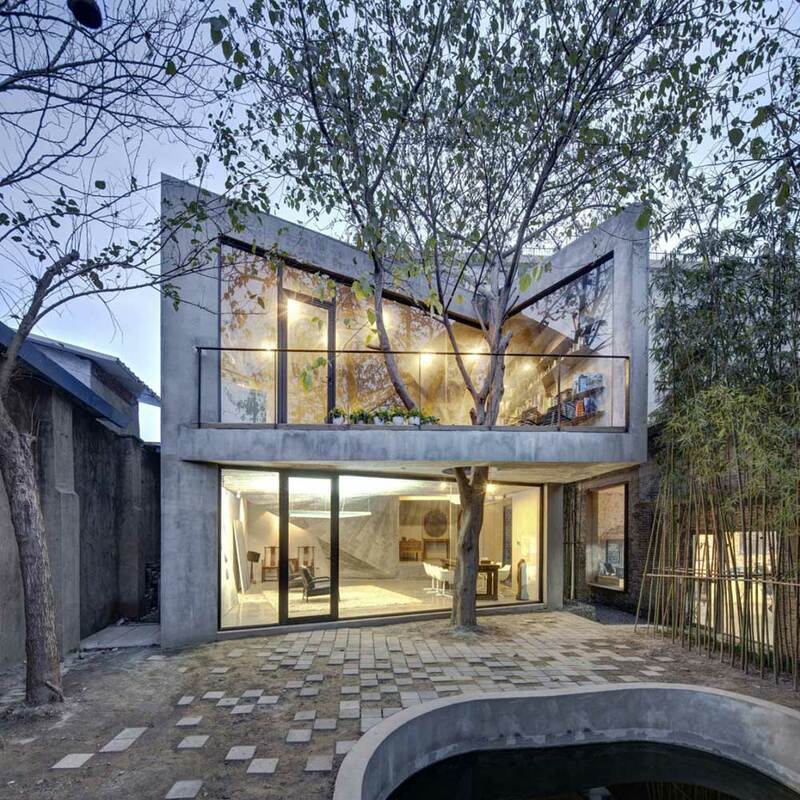 The design tries to embody harmony by integrating enclosure and openness, delightful space and logical construction and other complicated relations. This building reactsto the site’s environment; the plan layout is a logically obscure quadrilateral, thus maximizing the amount of space. It is divided into three parts. 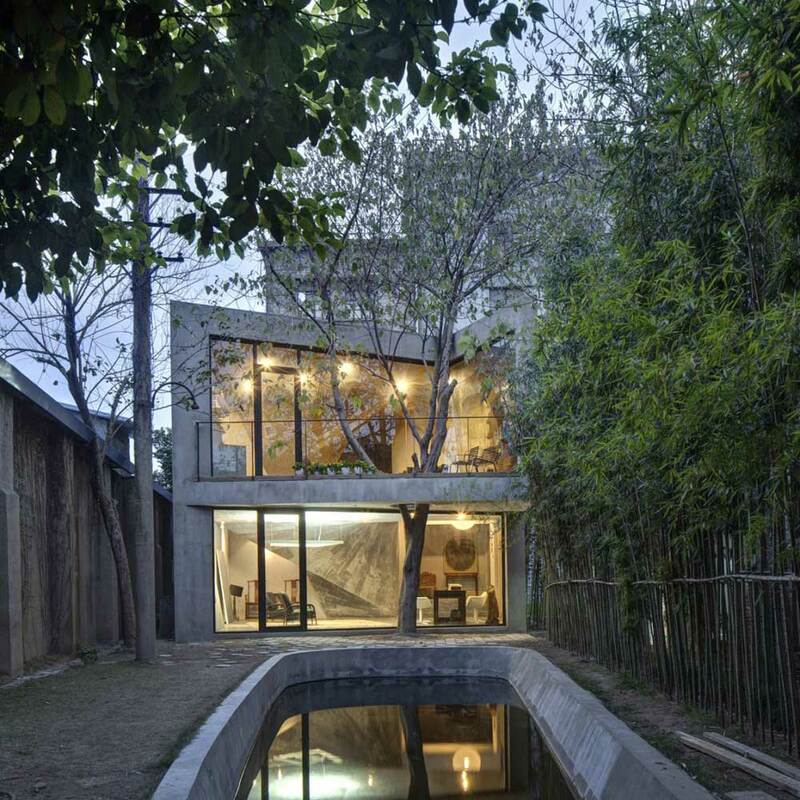 A covered public area is formed towards the open space with the pool, with an enclosed tea house at ground level and library on the first floor where a small triangular balcony extends around the existing tree. 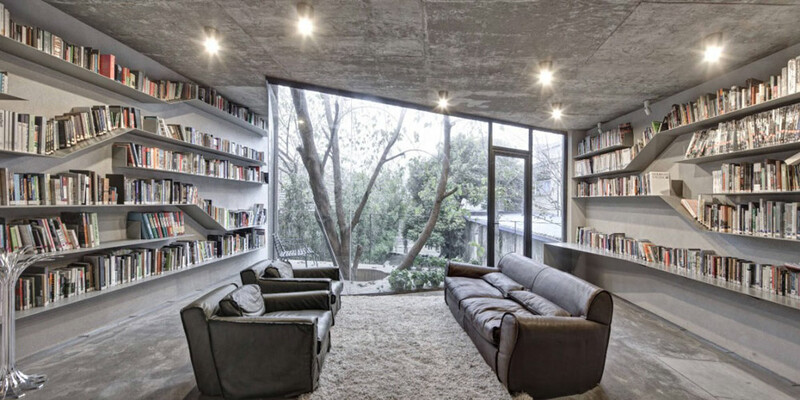 Other more private spaces exist such as a lounge, reading room and service room whichare arranged towards the rear of the building; a delightful transitional space was created to connect the public space and the private spaces. 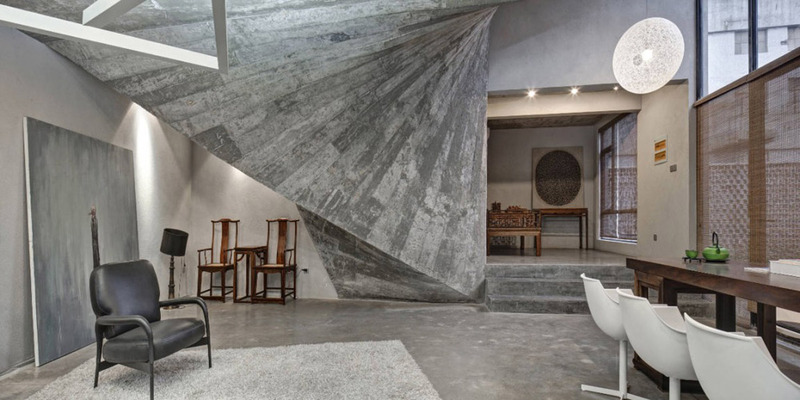 The transitional space was designed around a twisted nonlinear hexahedron staircase, which connects the functional spaces. 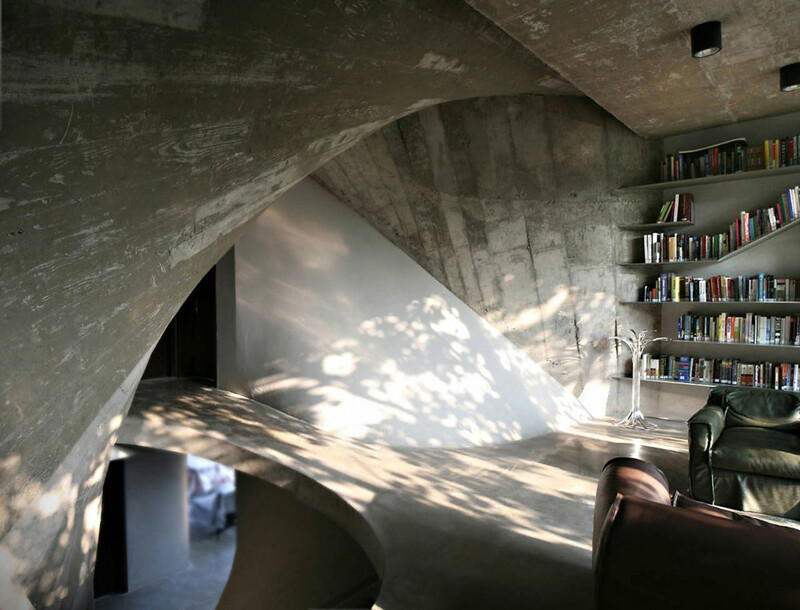 The stair resolves the vertical transportation issue fromthe tea house and the library and provides an inner courtyard near the reading room for viewing the existing tree. 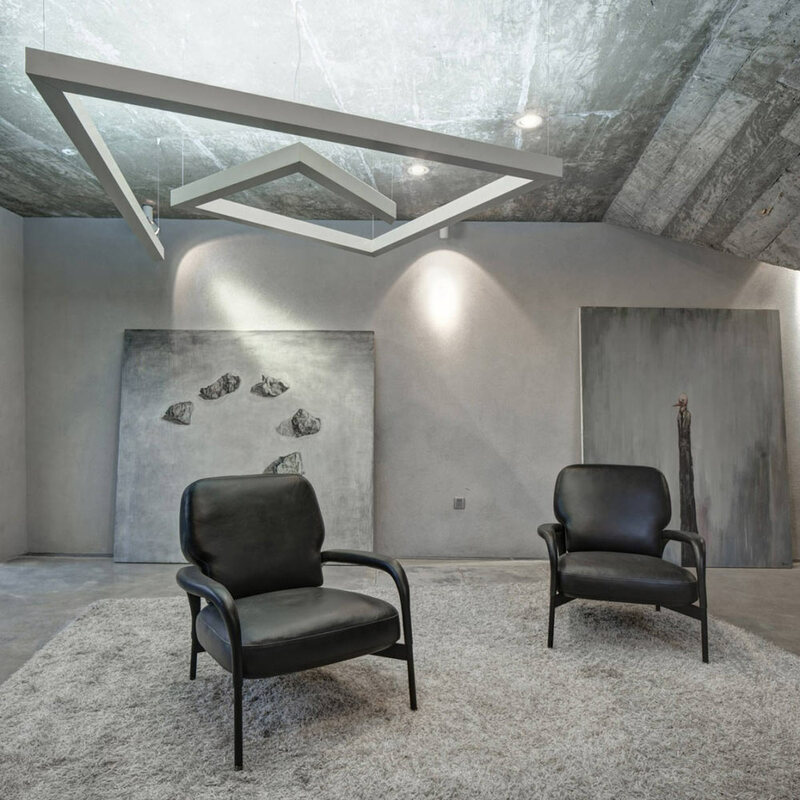 The space was designed to bring a new experience to an ordinary functional space. 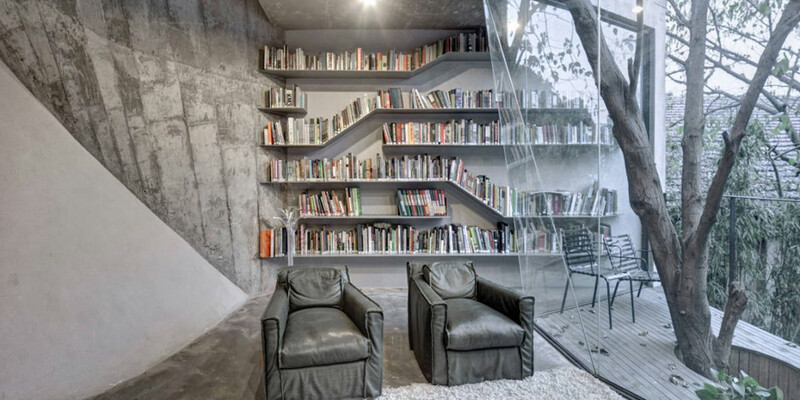 Linear space suddenly changes into an expressive form, surging from the tea house then transforming into a tranquilspace for the library on the floor above, making the reading room a special place to sit. 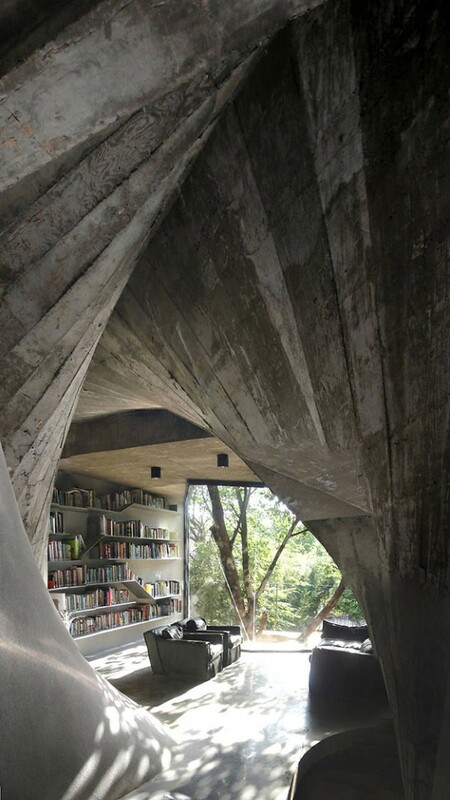 The volume is a three-dimensional irregular shape which is impossible to be understood through plans. The twisting shape was designed by scripting in Grasshopper an algorithmic plug-in for Rhino. However such a shape is difficult to translate into quantifiableinformation for guiding construction. The constraints of manual construction obligedus to invent solutions at the time of construction to realize the advanced digital design with local low-tech construction techniques. Firstly we abstracted the structural skeleton which was subsequently scanned with digital software. This curved shape was then recalculated through interlacing straight lines; these lines were then formed into ruled surfacesfilling the void. The spacing wassetto the dimension of timber, thus the digital ‘setting out’ could be easily translated into a manually constructible shape. A 1:1 timber framework was produced by following the same logic as the digital model; a subdivided timber shuttering covered this framework to create a curved form work. The form work was built through a series of upper and lower layers according to the construction sequence. The casting was almost the same as ordinary concrete casting, reinforced with re-bars following the straight lines of the ruled surface.